Sticker shock can be a real “wow” moment when parents first consider the costs of sending their child to college. All-in costs — including tuition, room & board, books and incidentals — can range from about $15,000 to over $60,000 annually. Take a deep cleansing breath. Exhale. Have a seat. Take another deep breath and begin thinking strategically. 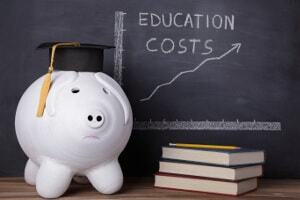 The first and easiest way to reduce costs is to have your child apply for scholarships. Thousands of scholarships exist and you may be surprised at some of the qualifications. For example, unique opportunities exist for left-handed people, those under 5-feet-tall, Eagle Scouts, etc. Besides the individual colleges and universities, community organizations and companies offer scholarships. Have your child search the internet, speak with a high school counselor about local scholarships and look for niche organizations that match a specific talent or skill that your child has. Be prepared to bare all, financially speaking, as you navigate through the Free Application for Federal Student Aid (FAFSA) forms. It doesn't take long to realize that there is nowhere to hide your assets. You will even link your application to your tax forms filed with the IRS. Understand that you will provide a very accurate financial picture to up to 10 colleges/universities. But that's OK. At least you know that everyone is playing by the same rules and the playing field is level. The amount of financial aid your child qualifies for will be determined by your household financials. FAFSA forms need to be completed each college year and for each child you have in college. It's also critical you fill out these forms as early as possible because in some states, aid is on a first-come, first-served basis. Get to know on a first-name basis the person in the Financial Aid office who is reviewing your child's financial aid package. Reach out to her or him and ask for more aid — either through grants, scholarships or other assistance. Leave your pride in another room. Asking for an extra $1,000 or more can be worth it. But remember, genuine kindness and gratitude go a lot further than making demands. Another tip for undecided high school seniors: Where possible, pit one college against another. If Acme U is offering a great financial package, but you really want to attend Zenith U, let Zenith know it will take a few more greenbacks to win you over. Remember, the goal of a college, especially smaller ones, is to fill the seats. Your goal is to get the best value for your child's education at a school that best fits his or her career interests. A new chemistry book for $321? Before you plunk down the plastic, ask your college if books can be rented or buy used books. You may find great deals with online booksellers like Amazon and Chegg. Your first semester freshman will want the maximum (typically 19) cafeteria-served meals. They most likely will not eat that many in the dining hall so colleges have gotten smart and allow students to use some of the “points” or meals in the dorm kiosks. You may want to reduce the meal plan in second semester to save money, especially if your child has work study or another part-time job. Have your child take full advantage of the federal work-study program. Typically menial jobs, students can work a set amount of hours per week, determined by your school and the Financial Aid award. Many colleges will give a student an extra $1,000 scholarship for every point over a 25 on the College ACT exam. If your student is scoring in and above that score, it may pay to retake the exam to try and earn some more scholarship money. Some of these scholarships are for a single year and others for up to four years of undergraduate matriculation. While the academic pressures of college can be intimidating for students, there are ways to reduce costs and maximize different aid mechanisms, leaving the “wow” factor for graduation day. Parents: How are you dealing with college costs? Our oldest, Aziza, is a high-achieving, ambitious student. She plans to graduate in four years with a triple major: Business Honors, Marketing and English. Needless to say, I'm a proud mother who is thrilled at all that Aziza has accomplished — and what lies ahead for her. When she began getting college acceptance letters, it kind of felt like we were winning the jackpot again and again. But really it was because of the years of planning and hard work. We were excited not only because Aziza was accepted to seven great schools located all across the country, but five of them offered her terrific scholarships as well. First came the $48,000-a-year, full-tuition scholarship from Fordham University. Later, NYU dangled a $50,000 a year merit scholarship before her, with a paid summer internship to boot. My alma mater got into the mix as well, courting my daughter with a Presidential Scholarship offer valued at $25,000 a year to attend USC. Ultimately, Aziza chose the all-around best fit for her: the University of Texas at Austin. Since we live in New Jersey, Aziza will be a non-resident student; and for the 2015-2016 school year, UT's annual price tag for out-of-state tuition, fees, room and board is $48,000. Thankfully, we're not paying anything close to that. Due to Aziza's receiving numerous scholarships and generous institutional aid, our family's net bill with UT Austin will be extremely affordable at roughly $5,200 a year. And with two more kids to put though college after Aziza, I'm breathing a sigh of relief. When I spoke to my daughter on the phone recently, she was carefree and bubbling with energy. Aziza raved about everything from her nice roommate, the new friends she's made, and the ballroom dancing class she tried to the stimulating classes she's enjoying as a Jefferson Scholar and in UT's Business Honors Program. I'm equally happy that my daughter will complete her college studies without student loans and completely debt free, thanks to scholarships and university aid that does not have to be repaid. It is gratifying to know that your child is able to concentrate on her studies without the concern of student loans. That's why I wanted to share these strategies. If you're a student, or a parent of a child going off to school, here are seven key strategies for winning college scholarships and reducing the overall cost of pursuing higher education. Around the time Aziza was in 9th grade, she and I started scouring the Web looking for college scholarships. OK, I admit it was mostly me — helicopter mom that I am. But to my surprise, I discovered that we were actually somewhat late to the game. The lesson: Kick into high gear immediately, because it's never too soon to begin the scholarship hunt. It is possible that you or your child could win scholarships from private sources, like corporations or foundations. 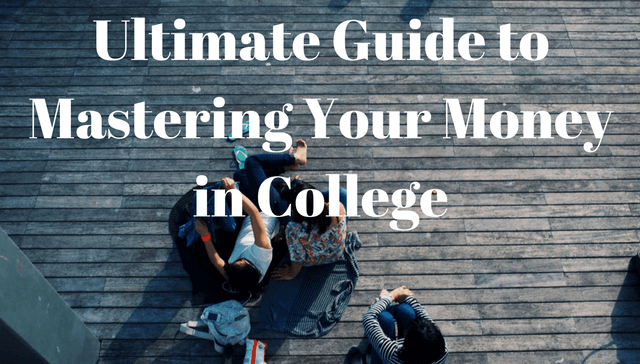 But you are likely to fare much better by targeting scholarships and institutional aid if it's offered directly from your chosen college or university. For starters, only about one in eight undergraduates at four-year schools win private scholarships. But more than half of all students seeking bachelor's degrees get scholarships right from their schools. Additionally, private scholarship awards are typically smaller and account for just 7 percent of all free money for college, whereas colleges and universities dole out larger sums. Finally, institutional scholarships are frequently renewable — meaning the student benefits from these awards year after year. By contrast, most private scholarships are one-time awards. The lesson: Your scholarship search should center first and foremost on the free money you could receive from your target list of colleges and universities. Look specifically for campuses that offer merit aid, which is based on factors like academic, artistic or athletic accomplishment, as opposed to need-based aid, which is tied to your family's assets and income. Realize that merit aid is usually easier to get if you are in the top 20 percent of a college's academic profile, in terms of grades and test scores among its admitted students. Targeting UT Austin as one of her top-choice colleges led to a huge scholarship bonanza for Aziza — largely because her student profile made her a standout applicant. Among her credentials: She was an A-student with a 2230 SAT score and plenty of AP classes. She was also a National Merit Scholar, president of the French club, founder of a multicultural club, a theater kid who did community service, and more. Tip: To aid your scholarship search, create a student resume and an activities sheet that highlights all work experience, awards, community involvement or other personal and academic highlights. The net result: Aziza was accepted into UT's Business Honors Program (BHP) and given a $10,000 a year BHP Scholarship. Since it's a renewable award during her sophomore, junior and senior years, that's a total of $40,000 we won't have to pay. Equally important to our success was the fact that winning that competitive BHP Scholarship made Aziza eligible for an additional, key source of institutional aid: an out-of-state tuition waiver. 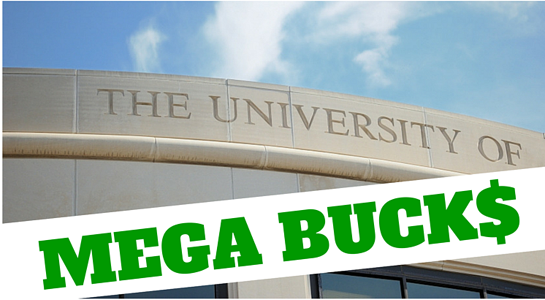 This tuition waiver isn't technically a scholarship. No matter what you call it, though, this institutional aid is directly tied to her scholarship, and it certainly translates into dollars saved for our family. With the out-of-state tuition waiver from UT Austin, instead of getting billed the out-of-state rate of $38,126 for tuition and fees, she is charged the in-state rate of just $10,738. The value of that waiver: a whopping $27,388 per year (or $109,552 over four years). So when you take the $40,000 BHP scholarship into consideration plus the $109,552 in institutional aid from UT Austin, we've reduced our daughter's undergraduate college career expenses by close to $150,000. Need to save for college? Open an online savings account. Aziza also won a one-time $2,500 National Merit scholarship. But this prestigious award was extremely difficult to earn and the competition for it was fierce. According to the National Merit Scholarship Corp., out of the 1.5 million students nationwide that vie for these awards each year, only 7,600 individuals (a mere .005%) win a coveted National Merit scholarship, based on PSAT scores (Aziza's was a 225 out of 240) and academic performance in high school. By contrast, a couple of other local scholarships Aziza received were much easier to land. They were smaller, but they illustrate the importance of the go-local scholarship strategy. One scholarship that came right from her high school parent-teacher organization was for $150. She didn't even apply for it; the PTO simply awarded her (and 24 other recipients) the money based on the recommendation of high school staff. Another scholarship Aziza received was a $700 award from the New Jersey State Elks Foundation. Although no one in our family belongs to the Elks organization, our town has an Elks Club and Aziza was eligible to apply. The lesson: It is far easier to win a local scholarship than a national scholarship that has a lot of competition. Seeking out scholarships based on your personal traits and family ties is another great way to win free money for college. You can earn scholarships based on a host of personal qualities, too — everything from your gender, ethnic, racial or religious background to your chosen major, future career path, current hobbies and extracurricular interests. Leveraging family ties can help too. One of Aziza's scholarships was an $8,000 award ($2,000 per year) from Foresters Life Insurance Company. She obtained this scholarship via a family affiliation: Aziza's grandmother doesn't work at Foresters, but she is policyholder. Turns out Foresters has a great scholarship program that's open not only to customers, but also to their spouses, children and grandkids. The lesson: To score more scholarships, make a list of all your social, civic and professional connections, including membership groups, ties or affiliations you and your parents/grandparents have to clubs, businesses, community-based enterprises, service organizations, industry and trade groups. Then contact each and inquire about scholarships and grants. To find and match with the most scholarships for which you are eligible, do yourself a favor and register for online scholarship search sites or use apps such as Scholly, ScholarshipOwl, FastWeb, Zinch and Scholarships.com. Several have online features that let you complete numerous scholarship applications without having to re-enter personal data each time. What scholarships have you or your child won? And what advice would you offer to others seeking scholarships and free money for college? Share your wisdom here! If you or a loved one will be headed to graduate school this fall, chances are you are worried about more than dorm survival. Instead, you may be wondering how to avoid six-digit student loan debt. It's a valid fear — no one wants to end up where I started. Consider the degree you are interested in and ask yourself some tough questions: How easy will it be to find a job with that degree? Will you have to make other types of sacrifices to get a job in that field, like having no control over where in the country you will live? Are you willing to make those sacrifices? Don't forget to ask yourself what the average starting salary is for entry-level positions in your proposed profession. From there you can work backwards to figure out what your net (take-home) pay will be. Then assume basic living expenses, catch-up contributions to your retirement account, and some fun money. Once those are accounted for, how big of a student loan payment will you be able to comfortably afford? Don't forget repayments on any loans from your undergrad days! Choose a different career path that requires less education or that has a better return on investment (ROI). The GRS interactive career tool can help! Find a way to get the same education for less money. Find a way to earn more money while pursuing your education. Let's focus on the latter two. Resolve to graduate on time. This is easier said than done. On paper, most PhD programs take five years to complete. However, according to statistics from the Survey of Earned Doctorates, a federal agency survey that gathers information from research doctorate graduates, in 2013 the average time to degree (TTD) for graduates in the physical sciences was about six and a half years. In life sciences, the average TTD was closer to seven years compared to almost eight years in the social sciences and over nine years in the humanities. According to the Chronicle of Higher Education, Ph.D. programs have approximately a 50 percent attrition rate. Only half of Ph.D. attrition in humanities programs takes place by the third year. The other half leave after Year 3 but before Year 10! There is no shame in acknowledging that your talents lie outside academia. Don't fall victim to the sunk-cost fallacy. Get out of grad school and find an arena in which your skills shine! However, most of these tips have been covered before, here or elsewhere. Additionally, in the graduate school setting, some of them may actually be counterproductive. Let's say that you can earn an extra $3,000 a year at a second job but that job takes up so much time it takes you an extra year to finish and doesn't make you more competitive for postgraduate positions. That is not a good use of your time! Yet in the moment, it might be difficult to see or acknowledge this. Less often emphasized are money-making opportunities that are unique to graduate school and/or academia. One example is applying for departmental, university, or professional organization travel grants to attend conferences. That way you can take advantage of networking opportunities on someone else's dime. Similarly, small seed grants for pilot research can help keep your TTD in check and make you more competitive for large, prestigious grants in your field later on in your program. Not only do these types of activities offset the cost of graduate school while you are there, they help you finish faster and may increase the odds that you will get a job once you're done. Not only that, but the beefier your CV is, the more bargaining power you will have when you negotiate your salary and the other terms of a job offer. Now that's a win-win-win! 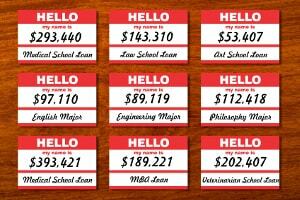 And while student loans can be a postgraduate burden and certainly can't be considered “income,” that doesn't mean you should take them off the table completely. If used strategically, the ROI for student loans can be real. Let's say that taking a $10,000 student loan during Year 5 will allow you to not only defend your dissertation on time, but also revise two chapters into articles for publication, which helps you land a tenure-track job. On the other hand, not taking the loan and continuing to TA may add two years to your TTD, during which time you publish nothing. What do you think the odds of landing a tenure-track job are in that circumstance? What strategies do you think are helpful for those hoping to minimize grad school debt? Share your advice in the comments below! When I wrote about the pros and cons of homeschooling recently, I left one major piece of the puzzle untouched: How does a family handle the loss of income if a stay-at-home parent is required? It's not just the loss of monthly income. The parent who stays at home doing the bulk of the educating is also missing out on some other benefits of employment (employer contributions to a 401(k), social security benefits, avoiding a resume gap, etc.). These aren't necessarily easy to quantify. So let's take a look at the financial piece of the puzzle to the extent we can; but first, is it possible to homeschool without losing income? If you are not homeschooling because your family can't afford to live on a single income, I have some good news for you. While most homeschooling families I know have a traditional stay-at-home parent, I do have a set of friends who homeschool their children and still work full time. How? Well, they both work in the healthcare field and their children's grandparents are very involved. During the days when both parents are working, one grandparent watches their children and teaches them half the school subjects. When the mother is home, she teaches the rest of the subjects. He admits things have improved since they began homeschooling their children. At first, both parents continued to work full time and he did all the homeschooling in the evenings when he got home from work. Like other healthcare workers, their hours are not always 9 to 5. Despite how busy their lives must be, I do think parents who work different shifts could juggle homeschooling while still working full time. In addition, many hospitals offer a weekend option, where nurses or other allied health professionals work every weekend but have the whole week off. Others work 10- or 12-hour days and maybe have three or four days off per week. If creative shifts aren't an option for you, can one parent cut any hours out of their work schedule? My husband and I are not considering homeschooling; but as an example, I work part time from home while my husband has a very flexible schedule with minimal hours during half the year. If we were interested to homeschool our children, we could find a way to juggle the responsibilities. But to be honest, I think homeschooling and having both parents work full time is a daunting and overwhelming task. I would have a hard time completing both tasks well, but I know people are very dedicated and make it happen. 1. Who wants to do the educating? How will the educating responsibilities be divided? 2. Does it require one parent to quit a job? Which one? 3. How much does the elimination of one income affect the overall family income? 4. How will this change impact the family's expenses? 5. For the spouse who is terminating employment, is there at least an option to keep current with the field so it is easier to reenter the workforce? 6. How does this decision affect retirement contributions? Streamline the budget slowly and early. While it is a necessity, a hefty online savings account only gets you so far if you don't change your spending habits. We had a hard time cutting our spending to match our new income. I think part of the problem was our savings account wasn't big enough, but I also think we were living a certain lifestyle that matched our former income. It took some time for our spending to reflect our new income level. In hindsight, I wish we would have slowly adapted our budget before we needed to. So if you know homeschooling is coming, you can make the transition easier by streamlining your budget well in advance. Start saving — a lot. One way to force yourself to live on less is to start saving a lot more. Not only will you have the benefit of practicing with a leaner budget when you don't actually have to, but you will also have a nice savings account balance (maybe an emergency fund?) as a cushion. Reduce the debt load. You don't need the extra pressure of making payments on a single income. 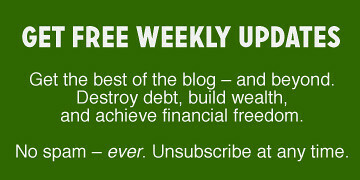 If possible, eliminate your existing debt so you can breathe. Cut expenses. Tap into all the traditional ways you probably already know: Get rid of unnecessary expenses, trim your grocery budget by eating at home more often, negotiate lower monthly bills, raise deductibles in return for lower insurance premiums. Plan for retirement. Also, consider the lost income-earner's former retirement contributions. Make sure there is still money in the budget to contribute. Again, speaking from experience, while 401(k)s are not without disadvantages, they do allow crockpot or fix-it-and-forget-it retirement contributions. Don't get out of the habit. Homeschooling will test the parents, too. By having a financial plan in place, everyone just might pass the test with flying colors. Any double-income homeschooling families out there? If you became a one-income family to homeschool, how did you adapt to the change in income? We'd love to hear your stories!